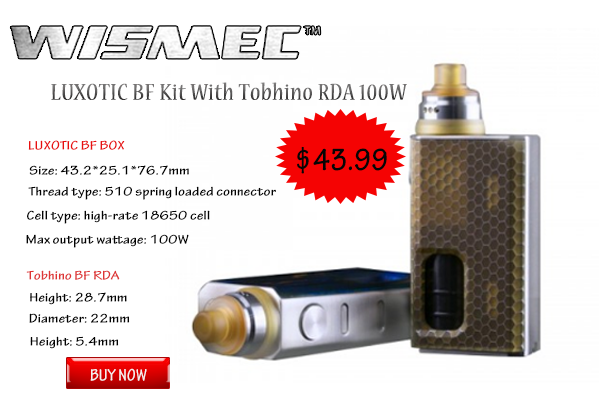 WISMEC LUXOTIC BF KIT 100W consists LUXOTIC BF BOX Mod and Tobhino BF RDA. LUXOTIC BF KIT is a brand-new box mod designed by JayBo, features its reimagined squonk system and inbuilt refillable e-liquid bottle of 7.5ml capacity. Powered by single replaceable 18650 cell, LUXOTIC BF BOX is convenient in use and fashionable in look.